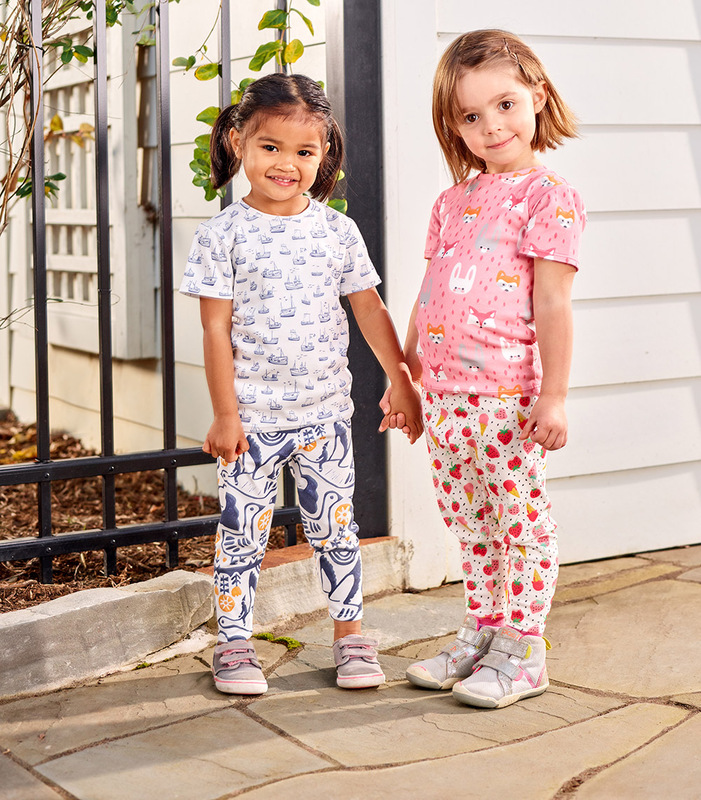 Searching for something to keep your little one stylish AND comfortable? This DIY Toddler Tee tutorial (free pattern included!) is guaranteed to make everyone happy. 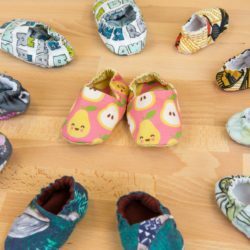 These are a cinch to sew up, and you can customize them to your child’s style. Pair with leggings for the ultimate comfy and crafty outfit. 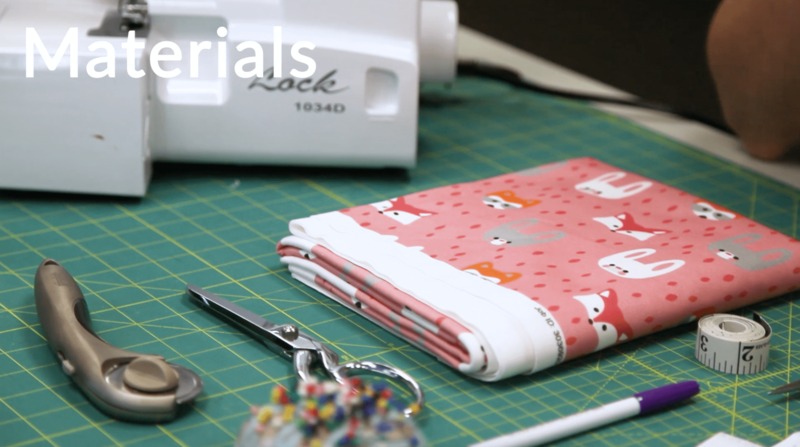 Check out the video tutorial below, or jump down to follow along with the step by step guide. Cut the pattern pieces for your preferred size. Fold your fabric in half, matching up the two selvedge edges. 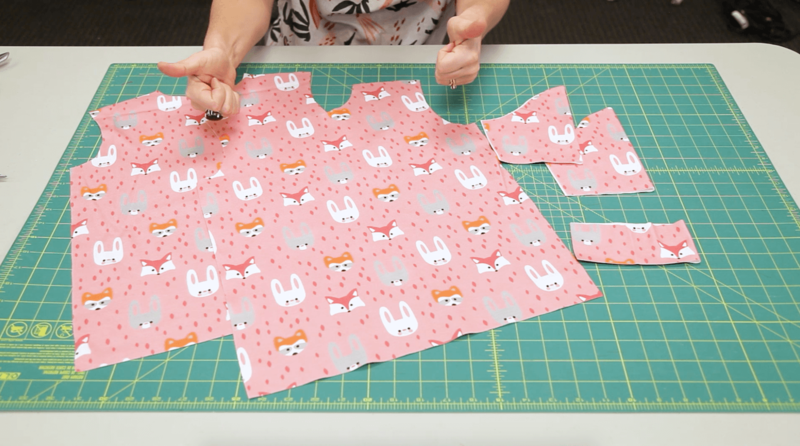 Trace the front and back shirt pieces on the fold and cut them out. Cut out two sleeves and one neck band on the fold from the rest of the fabric sleeves and armband pattern pieces. Pro tip: Neckband option 1 is for a jersey knit or ribbing. Neckband option 2 is suitable for knits with a little less stretch like the Organic Cotton Knit Ultra. You should have a front and back piece, two sleeves, and one neckband. Pin the shirt front and shirt back pieces at the shoulder seams with right sides facing. 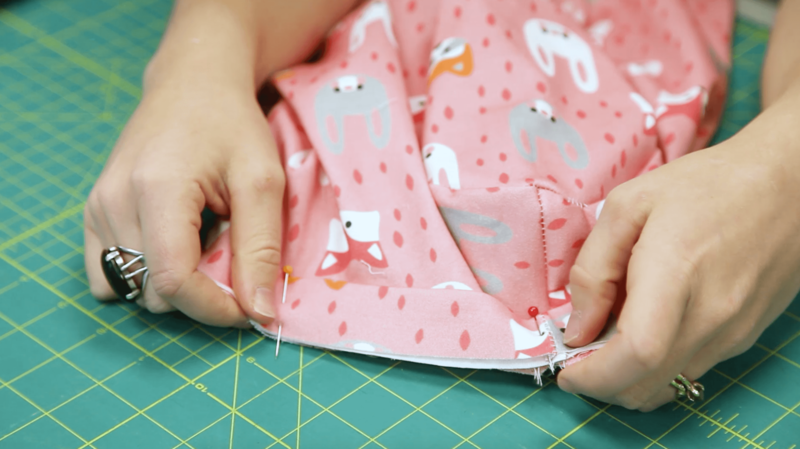 Since we’re sewing with a knit fabric, you’ll want to use a zigzag stitch and ballpoint needle throughout. 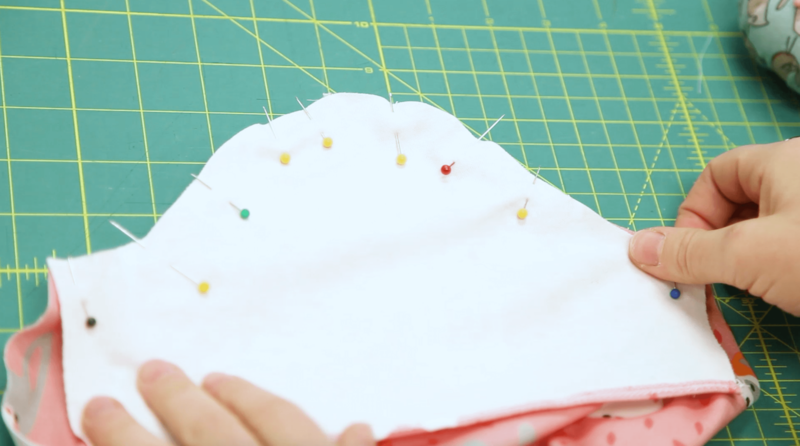 Sew the shoulder seams together using a ⅝” seam allowance. Press the seams open. Prepare the sleeves. 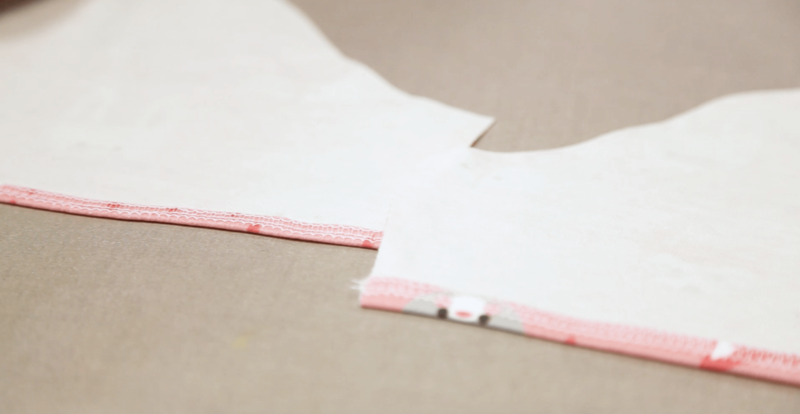 Fold the flat edge of the sleeve in about ¼” and again another ¼”, and stitch to hem. 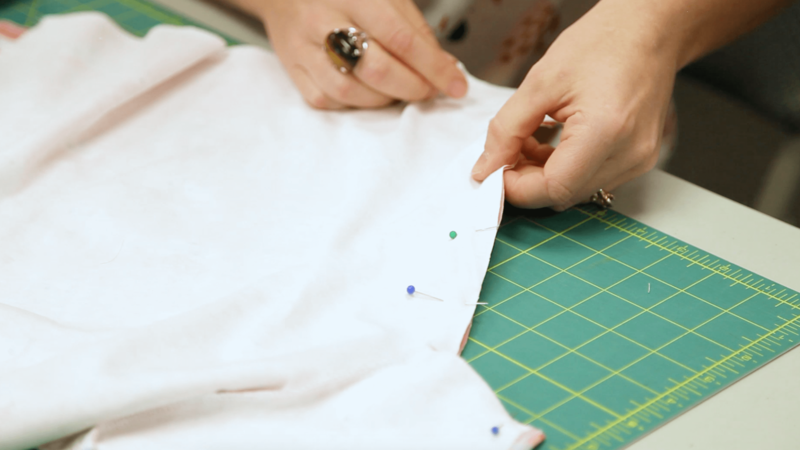 Match the top center of the sleeve curve to the shoulder seam. Pin the sleeves to the shirt armholes with right sides facing. Stitch together using ¼” seam allowance. The bottom of the sleeve and the sides of the shirt will still be open at this point. Sew the side seams by pinning the shirt front and back pieces together with right sides facing all the way up through the sleeve openings. Sew from the sleeve opening to the bottom of the shirt at ⅝” seam allowance. Press the seams open. 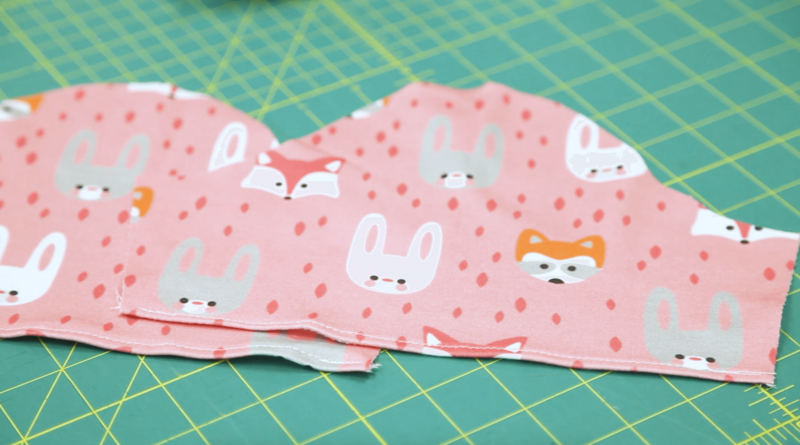 Prepare the neckband by folding the fabric in half lengthwise with right sides together. 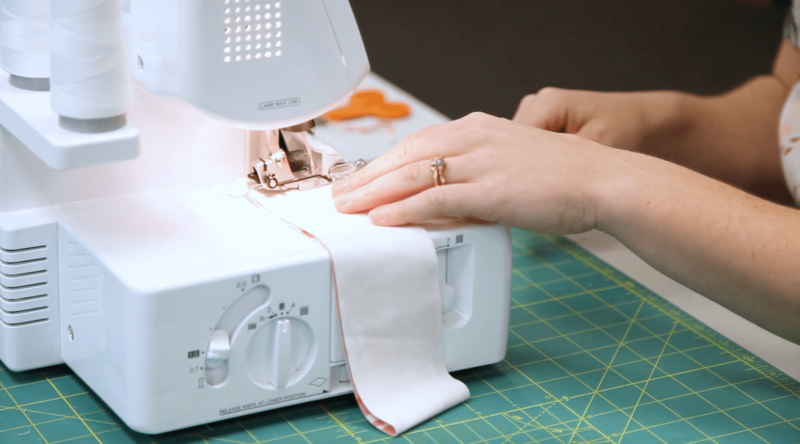 Sew the raw edge with a ⅝” seam allowance. Fold the neckband widthwise with wrong sides facing. To ensure your neckband lays flat, divide it into four even sections. Do the same with your T-shirt by finding the center of the front, center of the back, and shoulder seams. Pin the neckband and shirt body together, matching the four points. 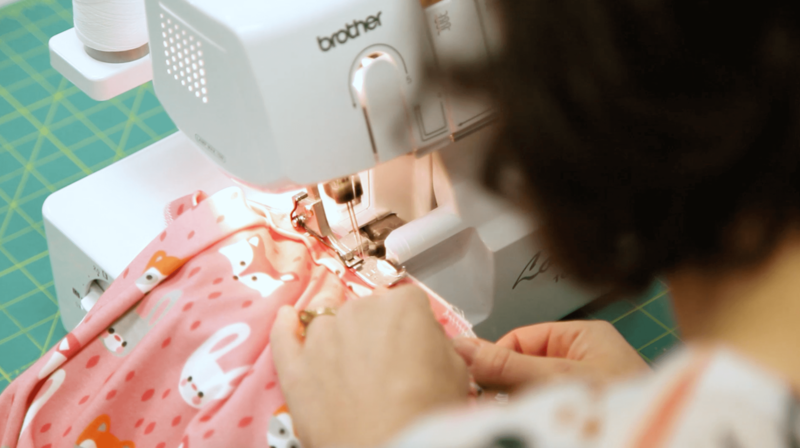 Sew the neckband to the right side of the fabric by starting in the center back and slightly stretching the neckband to fit into the T-shirt. There should a perfect amount of stretch in between each pin. Pro Tip: Topstitch just below the neckband for a more finished look. Hem the bottom of the shirt by folding the unfinished edge in about ¼” and again another ¼”. Top stitch around the edge. And you’re done! 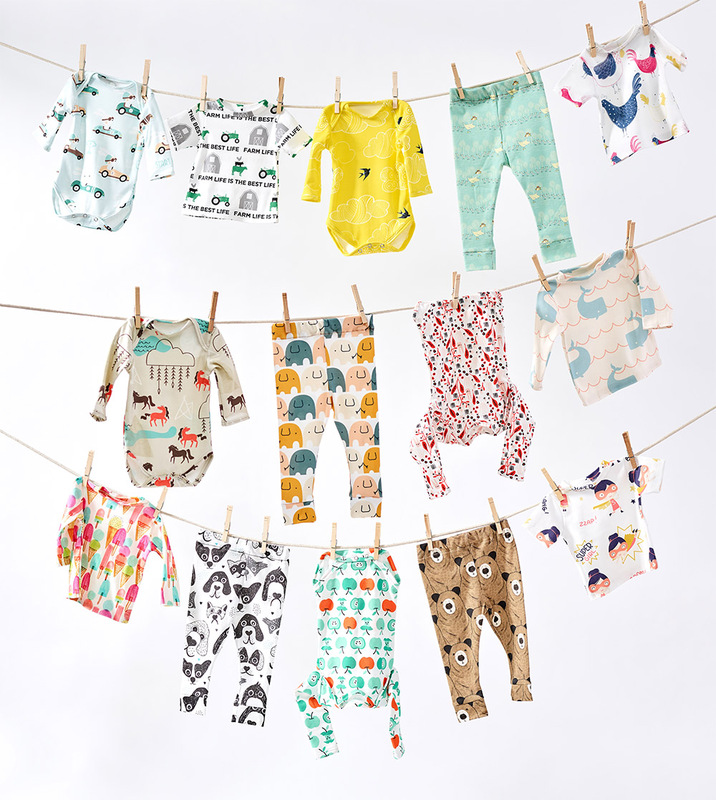 Don’t forget to sew up a coordinating pair of leggings so you can gift an adorable outfit to an adorable baby. I’d like to make this for my granddaughter. I have looked through the blog post and the pattern and do not find the measurements for the different sizes that your pattern offers. Am I missing this information? This toddler tee is available in sizes 2T-5T. 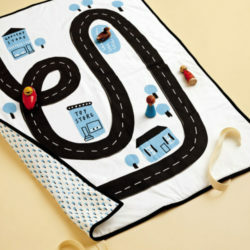 The pattern says 2T over and over – should this say 2T-3T-4T-5T instead? Thanks for letting us know! We’ve updated the pattern to reflect the sizing for 2T-5T. Are there measurements for sizing? Are these Ts good for little boys too ??? Great question! 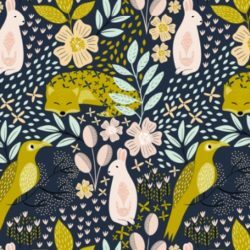 This pattern can be used for boys and girls! Do the patterns include seam allowance? 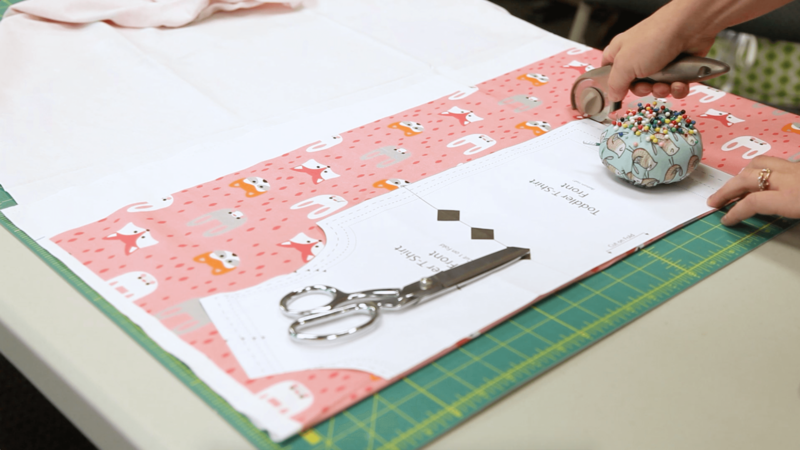 Or do you have to add it yourself before you cut the fabric? Sorry about any confusion! 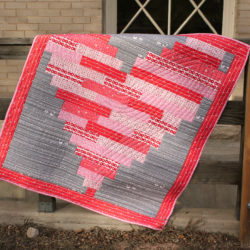 The seam allowances are included in this pattern, and we’ve updated the blog post to note that. The seam allowances are specified for each step of the tutorial, since they differ throughout. Why are there 2 options for the neckband? I did not find an explanation in the instructions. Thank you. Hi, I have just cut out a neckband Option 2 from Organic Knit – there is no way this is fitting over my 2-year-old’s head! Am I missing something? We’re so sorry to hear the neckband isn’t the size you were expecting! 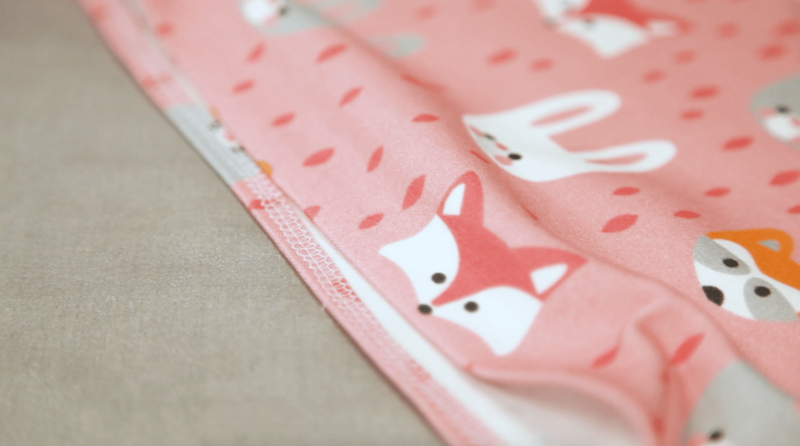 We’ll be happy to look into this further but when you have a chance, can you confirm your pattern was printed at 100% and the 1″ sample square measure 1″? We look forward to hearing back from you soon! Well, I stuck with it. I have trimmed as much as I could on a serger when setting in the neck band and it just fits around her head. When it settles after being worn for a little while it looks neat on her. If I cut the neck band longer I think it’d just pucker. So I think ideally the neck hole needs to be a tad bigger. But it did work and my 2yo does have a Stewie Griffith head, so would probably be fine for other kids. Thank you! I am very pleased with the result! We’re so glad you gave it a try and thank you for sharing your feedback about the neckband. 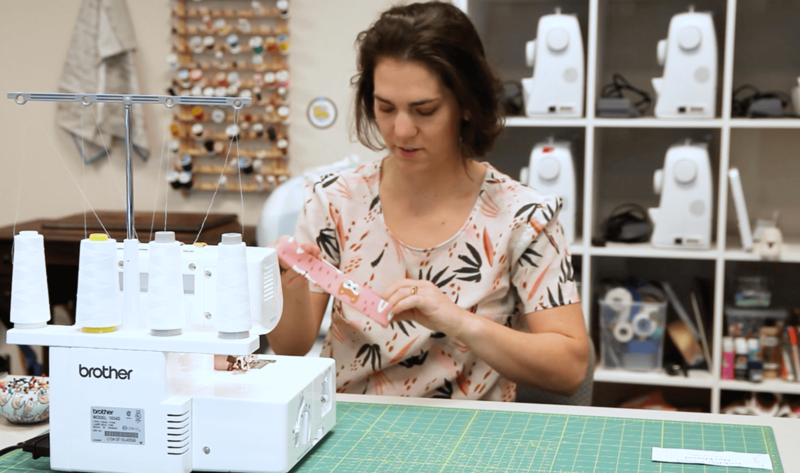 We’ve passed along your feedback to our pattern drafter and appreciate you taking the time to share your experience. Hello i wanted to know if you had any patterns 6-9 months for a shirt for a boy? Thanks so much for your question! At this time we’re only offering this pattern in 2T-5T. If we update the pattern to include additional sizes, we’ll be sure to let you know. Great pattern but similar to other reviews the neck is much to small. I made the 3T size for my 2.5 yr old nephew. Before alterations it barely fit over his head and was then clinging to his neck more like a turtle-neck would. I cut the t-shirt just outside of the seam of the neckband to increase the size of the neck hole and then sewed on a longer neckband (cut at approx 11.5\” long). The neck fits great now and he will be able to grow into it. Thanks for the pattern! Thanks so much for your feedback and we apologize for any trouble caused. We’ve updated the pattern based on the feedback we’ve received and appreciate you sharing your experience. Is it possible to extend the arms to make it a long sleeve? Hoping to use this pattern for my son’s Halloween costume. Thanks! You can definitely extend the arms to make a long sleeve version! Using the circumference of the wrist (including seam allowances) you can extend the arm based on the arm measurements. If you have any other questions, please send us a message at help@spoonflower.com. Are you sure the sleeves are correct here? I can’t get them to match. We’re sorry to hear the sleeves are giving you trouble! We have not experienced an issue with matching the sleeves but if you’d like to provide more details, we’d be happy to see what might have causing the problem. I made a shirt for my daughter in size 2T. I used a child sleepwear fabric and a white ribbing for the neck. For some reason my neckline came out very wide. Wider than I’d like it to be. It’s almost similar to a boat neck line. Would you know what I may have done wrong?